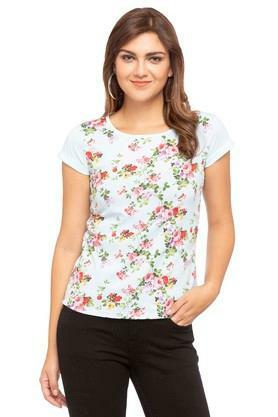 If you prefer keeping up with the latest trends, then this top presented by the house of Femina Flaunt will become your instant favourite. 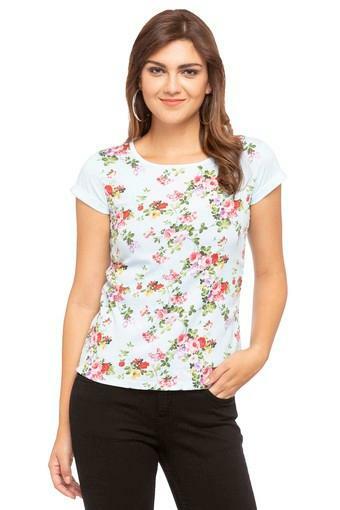 It comes with short sleeves that add to its design. 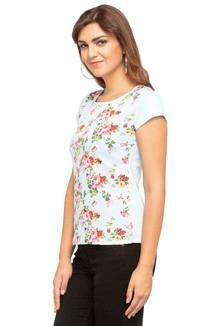 It also features a print pattern which along with the round neck renders it fashionable. Make your appearance worth noticing by wearing this top, which has been crafted with care. 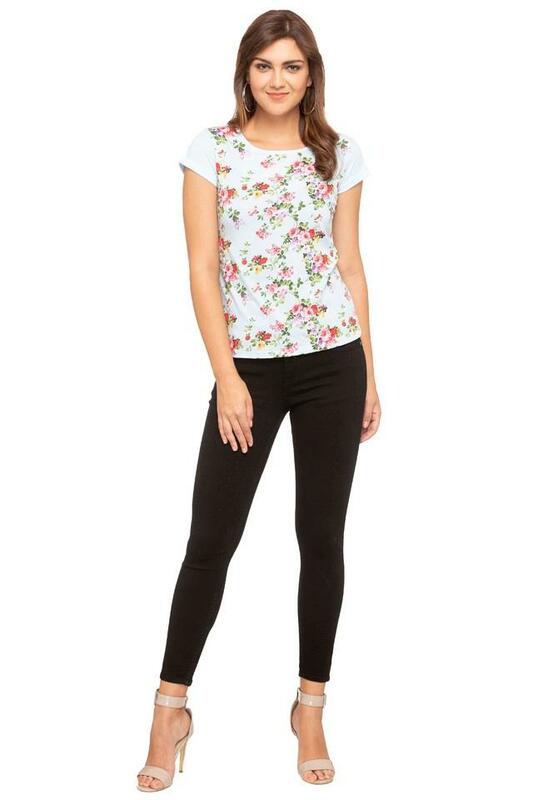 Ideal for casual outings, it will go well with a pair of jeans and wedge sandals.